Home Microsoft Word Where is the Character Counter in Word 2010? Where is the Character Counter in Word 2010? Some situations will dictate that a document you type in Microsoft Word 2010 needs to meet a minimum word or character count. 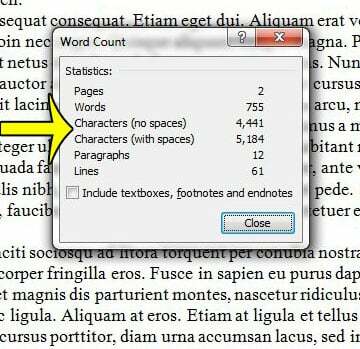 You may already have found the word count in the status bar at the bottom of the Word 2010 window, but finding the character count in Word 2010 requires one additional step. 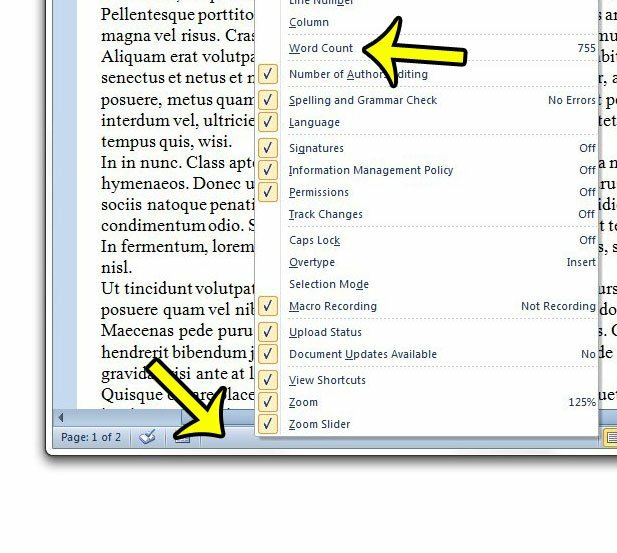 Our guide below will show you how to find the character counter for your Word 2010 document so that you can see the number of characters that exist in that document. The steps in this article will assume that you are looking for the character count for a document that is open in Microsoft Word 2010. This will be accomplished by clicking the word count button in the status bar at the bottom of the screen. If you do not see the word count button, then you can right-click the status bar, then check the Word Count option, as in the image below. Open your document in Microsoft Word 2010. 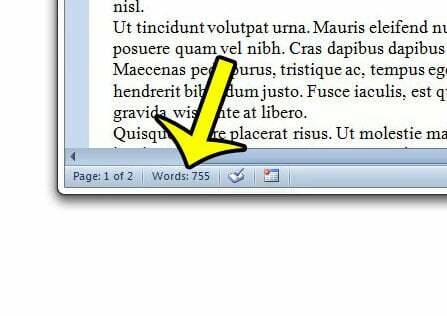 Click the word count button at the bottom of the screen. The character count is shown with two values – one number is for characters including spaces, and one number is for characters without spaces. If you would like the Word 2010 character counter to include characters in your text boxes, footnotes, and endnotes, then click the box to the left of that option at the bottom of the pop-up window. Is Word 2010 saving your documents to a location that is inconvenient, or difficult to locate? Learn how to change the save location in Word 2010 and specify the location to which Word will save your new documents by default. Do you run into issues where Word is pasting copied data with weird formatting? You can adjust the default paste options in Word 2010 to specify the way that you would like pasted content to appear in your document.